Think: Honeymoon, Anniversary, Girls weekend, Boys Weekend, Grandparents and the kids, Diving Groups, Bird-watches, Fishers and people who just want to get-a-way from it all. Everyone loves Aqua Mondo. This is not your typical holiday rental. Aqua Mondo is a special place. A modest ‘beach shaque" with all the unique charms of a bygone era. Aqua Mondo builds on the charms of a 50's style 'beach shack 'by adding a touch of 'Palm Springs' to this unique location. Nestled between Redden Island Nature Reserve and the the Coral Sea, AquaMondo is part of a very special enclave. If you appreciate luxurious amenities , butterfly filled tropical gardens, retro inspired design and best of all, absolute beach front location (just 1 step to the sand); Like many others... you will fall in love with AquaMondo! The property is conveniently located near major attractions in and around Cairns. The Great Barrier Reef is a mere 40 minute boat ride away, Cairns central 15 minutes, the Rainforest of the Tablelands and Port Douglas 30 to 45 minutes. Within walking distance: The bird life of Redden Island Reserve and the sand spit of the (fish filled) Barron River. AquaMondo is perfect if you are looking for a unique holiday experience, it is not your 'usual ' multi story 'concrete box' holiday style accommodation. AquaMondo is within close proximity of the with the very best that Cairns has to offer. TRUE! Gate way to the GBR. Cairns is the gateway to the Great Barrier Reef. Easily accessible via the Cairns Marina. 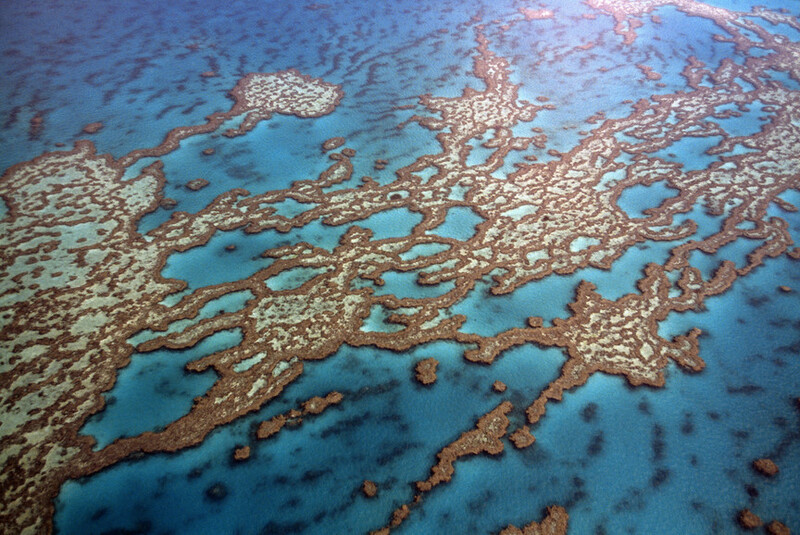 Numerous companies operate daily services to various reefs. Green Island a mere 20 minute boat ride to the out reefs which can take 1 or more hours to reach. Great Day tips or for the more adventurous extended tours catering to your every need. If price is no objective, fly by chopper. Ask the operators to taylor a reef packaged for you. Heaps more information is available in the Cairns and the Reef page.